Hyundai Motor Group has developed a smartphone app that will allow you to lock, unlock and start your car without a physical key. The app will allow you to open your new Kia or Hyundai by holding their handset near an NFC antenna in the driver or front passenger door. 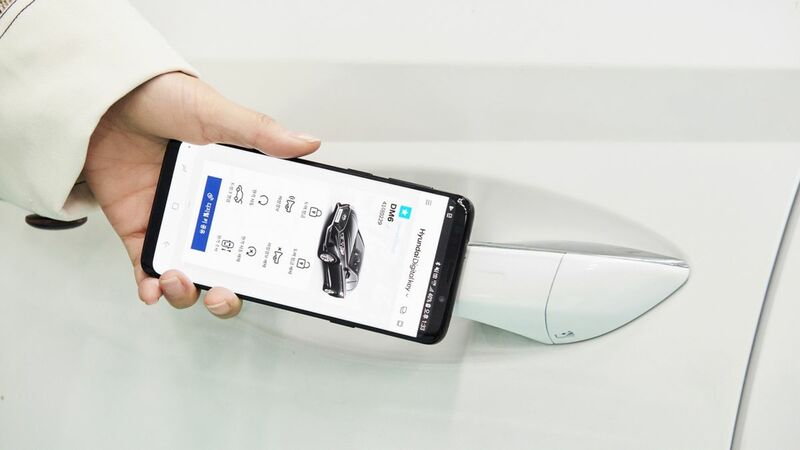 Once inside, laying the phone on a wireless charging pad (also equipped with NFC) will let you start the car with the press of a button on the dash. To encourage car-sharing, up to four people can be authorized to unlock the same vehicle, with individual driver profiles stored in the car. Tap your phone and the seat position, mirrors, steering wheel height and infotainment system will all be adjusted to suit your preferences. The app allows you to activate the alarm using Bluetooth Low Energy (BLE), and future versions will let you control features like autonomous parking from afar. Hyundai Motor Group also plans to make the ‘digital key’ for a particular car transferable between drivers, making it easier to include the vehicle in a car-sharing or rental scheme. Don’t worry though, you’ll still have a physical key or card as a backup if you need to let a valet park for you or, less glamorously, you’ve let your phone’s battery run down.